Some people need some greater attention and planning when a disaster hits. Hurricane Katrina hit the southeastern United States on August 29, 2005. This natural disaster led to the largest incident of missing children in US history. Many of these missing children were too young to accurately identify themselves. Parents of missing children were among thousands of people displaced in emergency shelters, some in different states, with limited access to communication channels. Making sure your children know what to do in an emergency, and practicing it over and over again is the best way to help keep them safe and calm until you can get to them. The American Academy of Pediatrics can walk you through how to talk to, prepare, and plan for disasters with your children. This is a must read for any parent. The Center for Disease Control has a great read on how to reunite with your child. 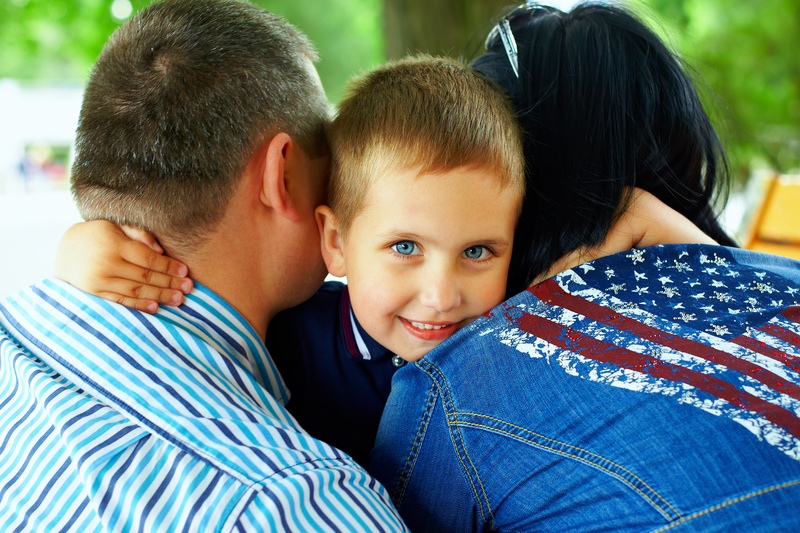 Family Voices has this outstanding guide to keeping your child(ren) safe in an emergency. Put an emergency contact card in their backpack/diaper bag – laminated if possible. TALK to the principal/care provider and ask to see their emergency plan. Know where they will take the children if they need to evacuate, what their evacuation protocols are, and who and how to contact them in an emergency. Pick an out-of-state family contact person to provide who caregivers can “check-in” with if you are unable to be reached during an emergency. Have a Go Bag for each child in their bedroom. Place hard-copy photos of your child in your Go Bag in case you get separated. Have a reunion plan in place if you are forced to evacuate or shelter in place. Know who will pick-up your child and have a plan for how to contact them if you are unable to immediately. Put an emergency contact card in their backpack/school bag – laminated if possible. TALK to the principal and ask to see their emergency plan. 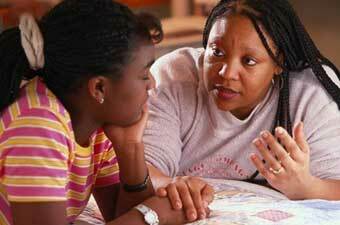 Explain to children how and when to call for help. If your child has a cell phone place a contact labeled ICE (for in case of emergency) in their phone for first responders or caregivers to use as an initial point of contact. Do your kids love video games? Have them check out Disaster Hero! Put an emergency contact card in their backpack/school bag – laminated if possible. Make sure they carry one with them somewhere. Know where your child will be if they need to evacuate, what their evacuation protocols are, and who and how to contact them in an emergency. If your teen drives a vehicle, have them prepare a car emergency kit. Talk with your teen about the dangers of disasters that are likely in your area and how to prepare for each type. Ask them for ways they can help you in an emergency. Teach your teen how to recognize danger signals. Make sure your teen knows what smoke detectors, fire alarms and local community warning systems (horns, sirens) sound like and what to do when they hear them. Pick an out-of-state family contact person who family members can “check-in” with if you are separated during an emergency. Have them to memorize the person’s name and phone number, or give them a copy of the emergency list included in the kit. Agree on a meeting place away from your home (a neighbor or relative’s house or even a street corner) where you would get together if you were separated in an emergency. Give each family member an emergency list with the name, address and phone number of the meeting place. Give your teen a free copy of Without Warning – a great comic book resource for being prepared! Having a family communication plan is the most important thing you can do. When to use emergency numbers. If you’re thinking of using a GPS/Wearable tracking device for your child, they’re great for emergencies other than the 9.0 megaquake. Here’s a comparison list of 10 wearables from Safewise.com, and a list of GPS trackers from Tomsguide.com. The Humane Society of the United States has an excellent site to help you prepare for emergencies for your pets. It also has specific information if you have horses or livestock, as well as house pets. If you have to evacuate – take your pet! Make sure your pet has current tags and wears a collar. A microchip will dramatically increase your odds of finding a pet if you get separated. Maintain current vaccinations. Many jurisdictions require current rabies vaccines, and many kennels require current bordatella vaccines as well. If you move, make sure to update your contact information with your pet licensing bureaus, and your microchip database. Place hard-copy photos of your pet(s) in your Go Bag in case you get separated. 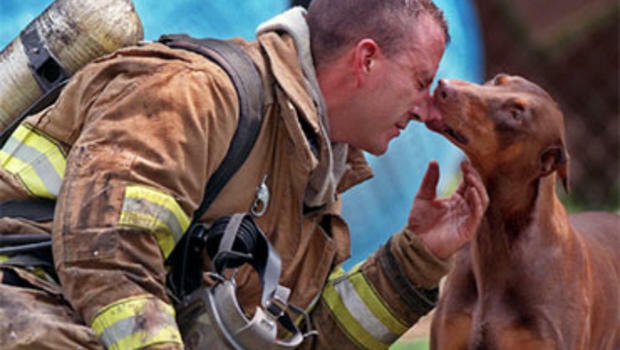 In addition to food and water and first aid, pets require additional gear to keep them, and others safe. Needed items for your pet may be much harder, if not impossible, to come by in an emergency, so being prepared is vital for their safety and well-being. Identify a safe area of your home where you can all stay together. The ASPCA recommends using a rescue sticker alert to let emergency responders know that pets are inside your home. Make sure the sticker is visible to rescue workers, and that it includes the types and number of pets in your household and your veterinarian’s phone number. If you evacuate with your pets, (if time allows) write “EVACUATED” across the stickers so rescue workers don’t delay by looking for pets who have already been evacuated. For family members who have physical, medical, sensory or cognitive disabilities, emergencies such as fires, floods and 9.0 mega earthquakes present a real challenge. Ready.Gov also has a very detailed – must read – site for those with special needs, breaking down specific items to plan for based on specific disabilities. If you have special needs, there’s no one better to help you get prepared for an emergency than you. You know what you are capable of, what you might need help with, and if you work with your family members and care providers, you can survive and thrive in a disaster by being prepared. A personal support network (sometimes called a self-help team) can help you prepare for a disaster by helping you identify and get the resources you need to cope effectively. Organize a network that includes your home, school, workplace, volunteer site, and any other places where you spend a lot of time. Members of your network can be roommates, relatives, neighbors, friends, and co-workers. They should be people you trust and who can check to see if you need assistance. They should know your capabilities and needs, and be able to provide help within minutes. Do not depend on only one person. Include a minimum of three people in your network for each location where you regularly spend a lot of time since people work different shifts, take vacations and are not always available. To complete a personal assessment, make a list of your personal needs and your resources for meeting them in a disaster environment. Think about the following questions and note your answers in writing or record them on a tape cassette that you will share with your network. These answers should describe both your current capabilities and the assistance you will need. Base your plan on your lowest anticipated level of functioning- assume when the Big One, or any disaster hits, anything that can go wrong will. As they say, plan for the worst and hope for the best. Do you regularly need assistance with personal care, such as bathing and grooming? What will you do if water service is cut off for several days or if you are unable to heat water? Do you use a shower chair, tub-transfer bench or other similar equipment? Do you have a safe back-up power supply and how long will it last? Is there an unpowered alternative that you can use in an emergency? Are there portable alternatives you can take with you if evacuation is necessary? Disaster Debris – How will you cope with the debris in your home or along your planned exit route following the disaster? Transportation – Do you need a specially equipped vehicle or accessible transportation? Errands – Do you need help to get groceries, medications and medical supplies? What if your caregiver cannot reach you because roads are blocked or the disaster has affected him or her as well? Do you need help to leave your home or office? Can you reach and activate an alarm? Will you be able to evacuate independently without relying on auditory cues (such as noise from a machine near the stairs – these cues may be absent if the electricity is off or alarms are sounding)? Are there other exits (stairs, windows or ramps) if the elevator is not working or cannot be used? Can you read emergency signs in print or Braille? Do emergency alarms have audible and visible features (marking escape routes and exits) that will work even if electrical service is disrupted? How will you call or summon for the help you will need to leave the building? Do you know the locations of text telephones and phones that have amplification? Will your hearing aids work if they get wet from emergency sprinklers? 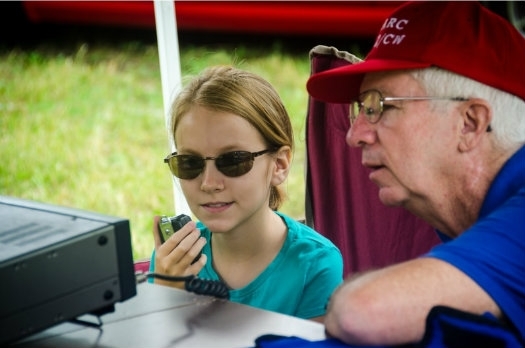 Have you determined how to communicate with emergency personnel if you don’t have an interpreter, your hearing aids aren’t working, or if you don’t have a word board or other augmentative communication device? What will you do if you cannot find your mobility aids? What will you do if your ramps are shaken loose or become separated from the building? Will you be able to care for your animal (provide food, shelter, veterinary attention, etc.) during and after a disaster? 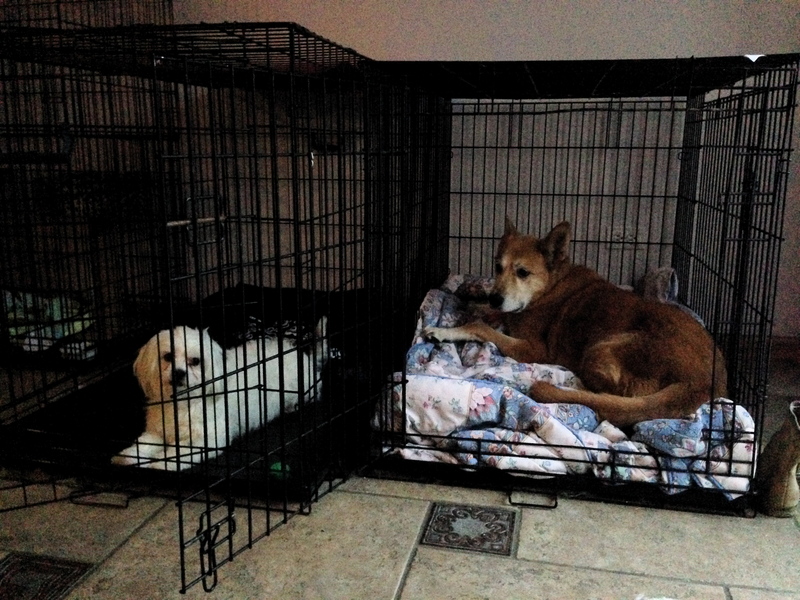 Do you have another caregiver for your animal if you are unable to meet its needs? Do you have the appropriate licenses for your service animal so you will be permitted to keep it with you should you need or choose to use an emergency public shelter? Do you have an emergency plan for your service animal? In addition to a standard Go Kit, or 21 Day kit for your home, there are additional items you might need to have ready in an emergency. If deaf, include a word board, or pen and pad of paper in case you need to communicate without an interpreter. If you wear hearing aids, keep extra fresh batteries in your kit. Give an emergency contact card – laminated if possible- to every member of your Emergency Support Network. Carry a copy with you always, and keep an extra copy in your Go Kit. Inventory what you use every day to maintain your health, safety and independence. 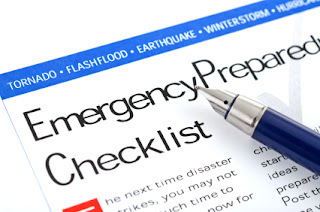 Identify essential items you and your family will need to survive for three to five days or longer, if emergency responders or other people cannot get to you following an emergency or disaster and if you have needs that are not easily accommodated, even when you aren’t on your own. As you go about your usual routines, carry a pad for several days and jot down anything that might be difficult for you to manage without in an emergency, and then begin to brainstorm solutions that might work for you. Stock your kit with essential items which may include medical supplies, assistive devices, food for your specific dietary needs, prescription medicines, diabetic supplies, hearing aid batteries, phone charger and back up battery land line phone (and TTY if you use this technology), manual wheelchair, extra seat cushion, egg crate padding and other medical equipment and mobility devices you may need to maintain your health, safety and independence, and supplies for your service animal. Know how to connect and start a back-up power supply for essential medical equipment. Consider getting a medical alert system that will allow you to call for help if you are immobilized in an emergency. Most alert systems require a working phone line, so have a back-up plan, such as a cell phone or pager, if the regular landlines are disrupted. If you are vision impaired, deaf or hard of hearing, plan ahead for someone to convey essential emergency information to you if you are unable to use the TV or radio. If you live in an apartment, ask the management to identify and mark accessible exits and access to all areas designated for emergency shelter or safe rooms. Ask about plans for alerting and evacuating those with sensory disabilities. If you are unable to get out of a building, you can let someone know where you are and guide them to you. If you live in a care facility, talk to the administrator and ask to see their emergency plan. Agree on a meeting place away from your home (a neighbor or relative’s house or even a street corner) where you would get together with your support network if you were separated in an emergency. Give each member an emergency list with the name, address and phone number of the meeting place. If you have a cell phone place a contact labeled ICE (for in case of emergency) in your phone for first responders or caregivers to use as an initial point of contact. Ask about special assistance programs available in the event of an emergency. Many communities ask people with a disability to register, usually with the local fire or police department, or the local emergency management office so needed help can be provided quickly in an emergency. Let your personal care attendant know you have registered, and with whom. If you are electric-dependent, be sure to register with your local utility company. Practice your Disaster Plan every six months so with your support network so that everyone will remember what to do when in an emergency.